Use of bulk SMS is relatively a new concept in business marketing, and various business professionals are using it as a cost-effective and time-saving mode of engaging and interacting with consumers. To achieve success in using bulk SMS for marketing, SMS shortcodes play a crucial role. Shortcodes are basically five to six digit numbers that are used in place of a phone number for sending SMS. Being shorter than a general phone number, SMS shortcodes are easy to register in the minds of the customers. Receivers can revert to the SMS sent using the unique shortcodes and thus, begin the much-desired interaction with your brand. 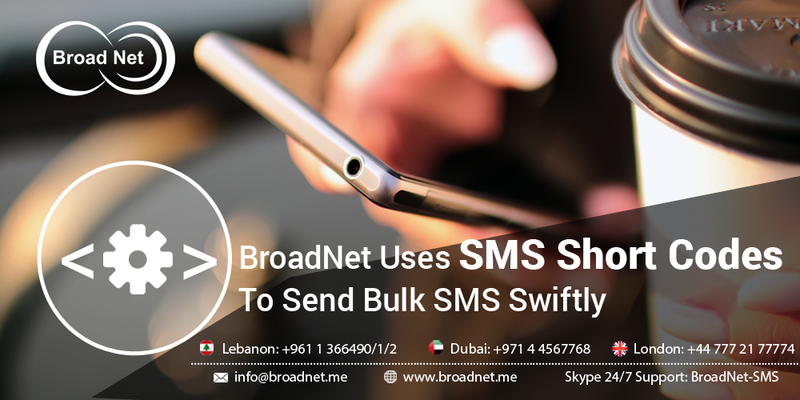 When sending bulk SMS, we at BroadNet ensures that the SMS gateway and SMS shortcodes are efficient enough to deliver the message and instigate the desired action from the receivers. We also utilize shortcodes for sending bulk SMS through the SMS software . So, be it the SMS software or the SMS gateway, you can incorporate the SMS service with your marketing and advertising channels. What’s more, we also utilize SMS shortcodes for sending SMS alerts & reminders, text contests or text voting to increase customer participation and interaction. SMS shortcodes service facilitates mobile marketing and helps you increase sales to a great extent. Using this SMS service, you can send coupons and sales offers to your target audience and encourage them to reply you in order to avail those offers. Sending bulk SMS through SMS software or SMS gateway can open up new opportunities for your business and help you come closer to your target market. With people carrying their mobile phones 24x7 with them, your SMS have higher probability of reaching the intended people and driving them to take a positive action. This way, you can turn an excellent sale offer into excellent sale results. Bulk SMS service is one of the most time- and cost-effective ways of improving customer relationships and enhancing loyalty. It allows you to develop an one-on-one relationship with each of your targeted customer through their mobile phones. Being so targeted, shortcodes can ensure that every SMS that you send is personalized to a highly engaged customer who is likely to respond. With the help of SMS shortcodes, you can keep a tab on your targeted customers and manage an organised customer database. Because of this feature, you know which customers are most likely to respond to your SMS. This way, you can send different messages based on different consumer conditions and preferences and ensure they receive the right message at the right time. In order to simplify the process of collecting and using targeted consumer information, sending bulk SMS using shortcodes is the right thing to do. Therefore, using SMS shortcodes for sending SMS and text messages to a large number of people leverages your marketing efforts and provide value for money- as every dollar you spend on sending the SMS can get you more sales.